Perfect results, low consumption and longevity. Miele dishwashers. 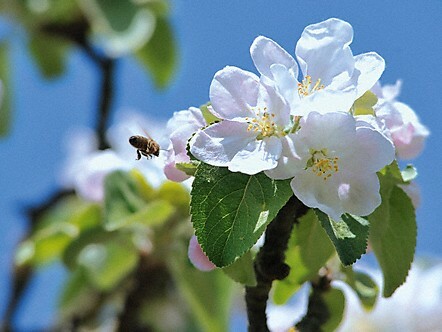 For everything you really love. Promotional dates: This offer runs from 4th October 2017 until 30th January 2018. All applications must be received by February 28th 2018. 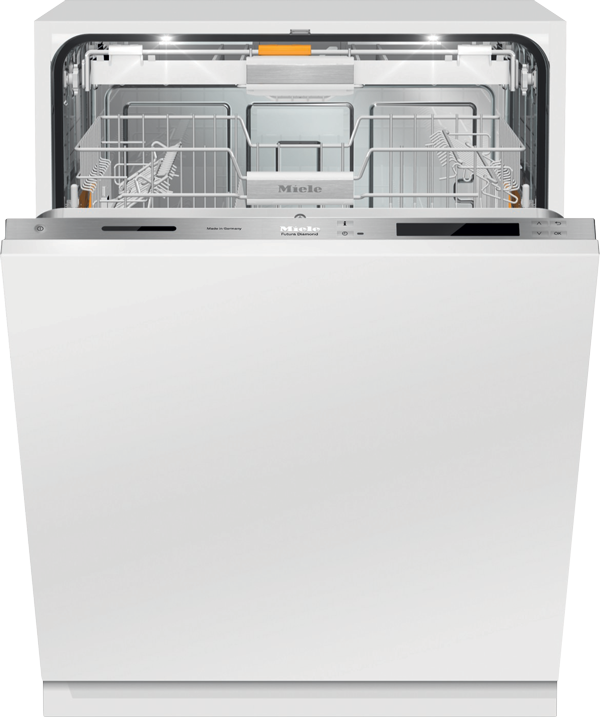 About this promotion: Save up to £100 on these selected Miele dishwashers. Featuring Quick PowerWash for excellent cleaning and drying and saving you money with energy efficiency class A+++ . The Patented 3D cutlery tray adds versatility, with a centre section which can be lowered and is equipped with a hinged row of spikes for cutlery items, enabling you to fit more in your dishwasher. The best care for your glasses. Soft water will clean crockery throroughly but has an aggressive effect on glass. 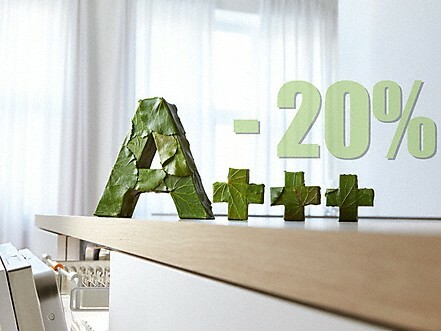 To counter this, Miele dishwashers feature Perfect GlassCare technology. It ensures that your glasses are washed gently - so you can enjoy then for many years. 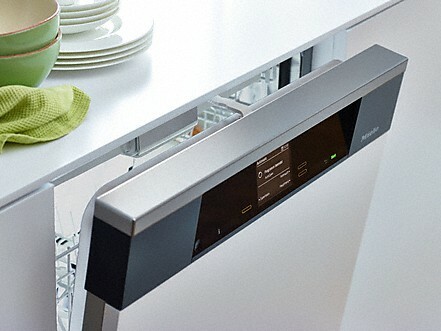 Miele Dishwasher Features. On selected models. Excellent cleaning performance. 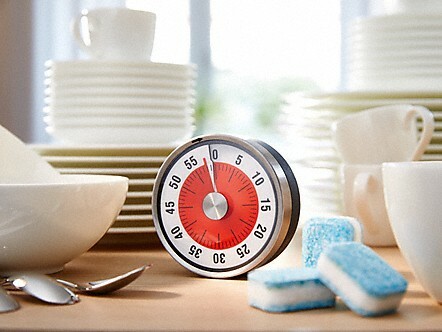 Cleaning class A: Excellent cleaning and drying results for normally soiled crockery in 58 minutes. Unmatched synergy: The new dishwasher programme QuickPowerWash and the specially designed UltraTabs Multi achieve the best possible cleaning and drying results for normally soiled crockery in 58 minutes. The specially developed tabs dissolve in only 2-3 minutes. Thus, the cleaning performance begins right at the start of the wash programme giving a superb wash every time. 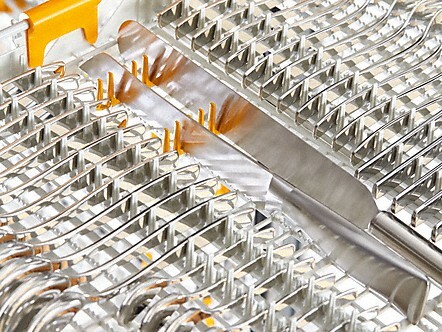 The centre section of the tray can be lowered and is equipped with a hinged row of spikes for cutlery items. Unique versatility for perfect cutlery care. Versatility is key with the intelligent 3D cutlery tray+. Width, height and depth are variable and can be adjusted to all load situations. Thanks to hinged rows of spikes in the centre you have more space for larger cutlery items such as salad servers or knives. The adjustable side sections even allow you to place long-stemmed glasses in the upper basket. Added versatility for perfect cleaning results. 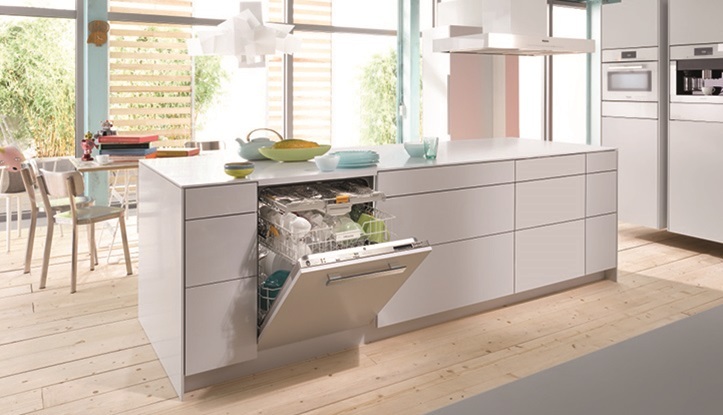 Everything perfectly dry: The dishwasher door opens automatically at the end of the washing programme. For perfectly dry crockery At the end of the programme the door of the dishwasher opens automatically and leaves a small gap. This allows fresh air to reach the crockery and even washed items like plastic dishes dry completely. Your worktop is protected from moisture by special air ducts. Automatically controlled: Four LEDs immerse the entire dishwasher interior in brilliant light. Perfect lighting for easier loading The door control automatically lights up 4 powerful LEDs when the dishwasher is opened. The 4 LEDs illuminate the interior with brilliant light. The working area of the dishwasher is lit up perfectly making loading and unloading of the baskets noticeably easier.